If you love Mexican food as much as we do, you probably find yourself sitting down at a variety of restaurants sampling the ethnic fare on a regular basis. At most of these establishments, it almost seems mandatory to serve the main course with sides of rice and beans. But not all rice is created equal. 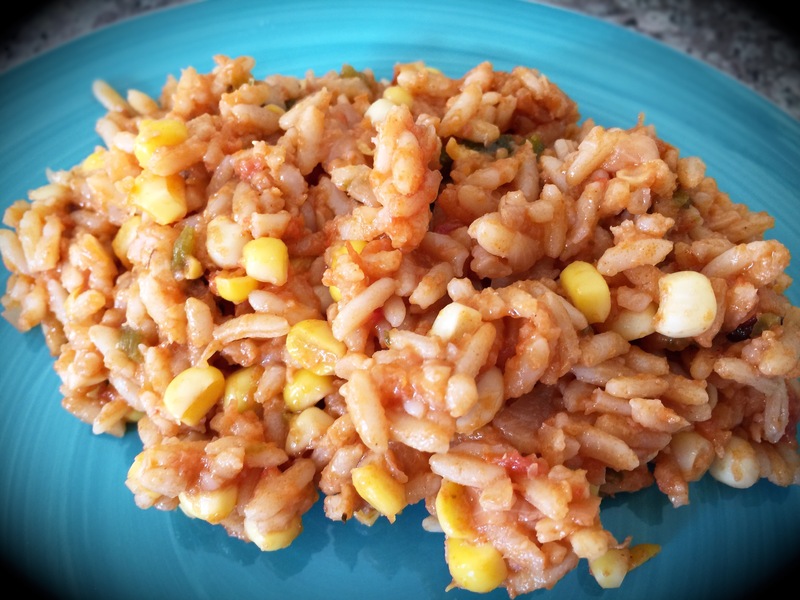 In our take on Mexican Rice, we kick the flavor into overdrive by adding some additional ingredients for a rich flavor we know you’re going to love. But don’t be fooled. This dish is easy to prepare, and practically foolproof. Enjoy! Heat oil in a saucepan over medium-high heat and sauté rice until it is opaque and golden, about 5 to 7 minutes. Add onions and garlic and sauté for 2 minutes. Stir in tomatoes, chile, salt, and water and bring mixture to a boil. Reduce heat to low, cover and simmer about 30 minutes, or until the water has been absorbed. Turn off the heat, uncover the rice, and stir to incorporate the added ingredients. Replace the lid and let the rice steam for an additional 10 to 15 minutes. About 5 minutes before serving, stir in corn and poblano chiles. Fluff the rice with a fork and serve.